I believe that if you love what you do it will show through your work. I am fortunate to have chosen a path that allows me to integrate my passions – precise, technical work and interpersonal relationships. I am proud to be part of a compassionate and dedicated team that uses the newest technology in the field to give our patients the best outcomes. Dr. Samantha Synenberg received her Doctorate of Dental Surgery with honors from Marquette University School of Dentistry. She earned several honors there, including a Clinical Excellence Award and the Blumenfeld Scholarship. Dr. Synenberg received her Certificate in Endodontics after completing a post-doctoral endodontic residency at Tufts University School of Dental Medicine. Prior to her dental education, Dr. Synenberg attended Lehigh University where she earned a bachelor’s degree in Biology and Religious Studies. Dr. Synenberg’s interest in endodontics started at a surprisingly young age in her father’s endodontics practice in Cleveland, Ohio. 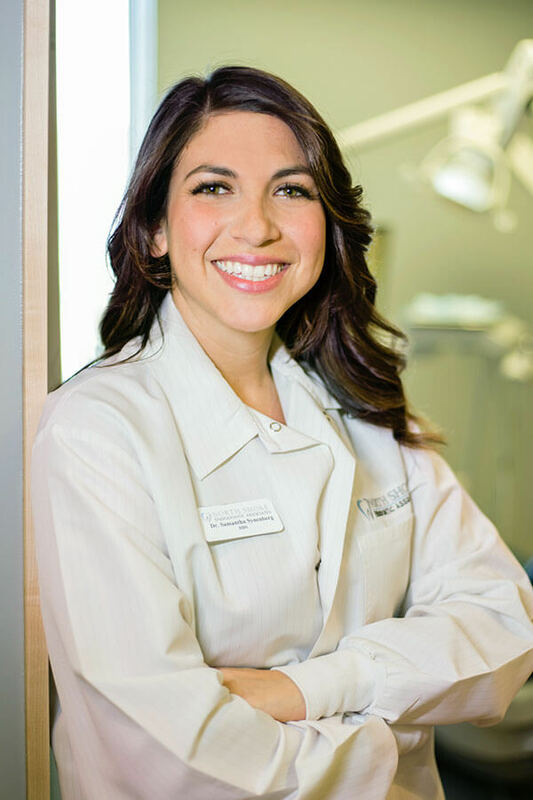 She spent countless hours at the practice helping out and seeing first hand the importance of both the technical side and personal side of dentistry. Before entering dental school, she also worked as a dental assistant at a general dental practice; this experience offered her a new perspective on dentistry and patient care. 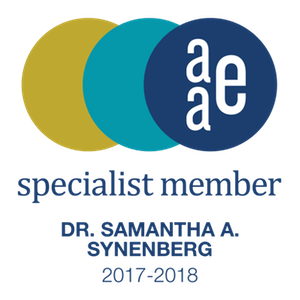 Dr. Synenberg is a member of the American Association of Endodontists, the Massachusetts Association of Endodontists, and the American Dental Association. She is also a part-time clinical instructor at Tufts University School of Dental Medicine, teaching both the post-doctoral endodontic residents as well as the pre-doctoral students. Outside of the office, Dr. Synenberg loves exploring Boston and the New England area. She enjoys spending time in the outdoors during all seasons, especially with family and friends.